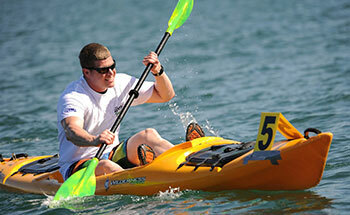 Sport is obviously much more enjoyable if you can see well and without discomfort, such as eyes strain or headaches. If you regularly wear glasses then it is important to make sure you have the right kind of eye wear for your sport. Obviously it is important you can see well but you may also need to think about protecting your eyes from hazards, such as impact, foreign bodies, radiation, chemicals and bacteria. Did you know that you can get the following glasses made up to your prescription? Swimming goggles, cycling and ski glasses, sun glasses, diving masks, specialist tints for sports such as golf, ski goggles, protective glasses for cricket and impact sports, motor biking and snooker. And you can also get inserts for diving masks and prescription clip-ins for ski goggles. Eye goggles for swimming are always a good idea. You really don’t want to know about the nasty chemicals that lurk within and just above the surface of the water at your local pool. Did you know that you can get stylish prescription swimming goggles for children and adults in a large range of prescriptions now. And if your two eyes are very different – or your prescription out of the ready made range – you can get goggles glazed up to your exact prescription. Diving masks are available with glazable inserts for your exact prescription even a varifocal and ready made snap in lenses to a more limited prescription range. Stick on reading lenses are also available for prescription or non-prescription goggles. 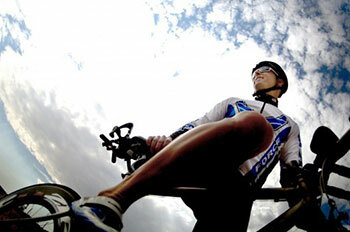 Cycling glasses can protect your eyes from the wind and sun as well as helping you to see. Most use prescription inserts which means that you only have to replace the lenses when your prescription needs updating rather than the whole thing. 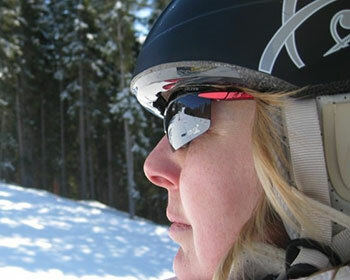 Many come with multiple lenses so that they can be used for both cycling and skiing, and in sunny and dull weather. Goggles are available that go over your own glasses – or your own goggles can be fitted with prescription inserts. If you prefer a lighter solution there are many wrap around frames that come with multiple tinted lenses and prescription inserts that can be glazed to you own prescription – even in varifocal form allowing you to see your phone or read maps. Whatever your sport, there will be a solution.